Hey everyone! Hope you've all had a lovely weekend. I had a huge spring clean of our house yesterday and it's so nice for everything to be tidy and clean. It's so strange to me (and my mum I'm sure) that I actually enjoy cleaning and keeping my house tidy, as I was always one of those teenagers with a very messy room. But I've definitely become house-proud since we got our own place. 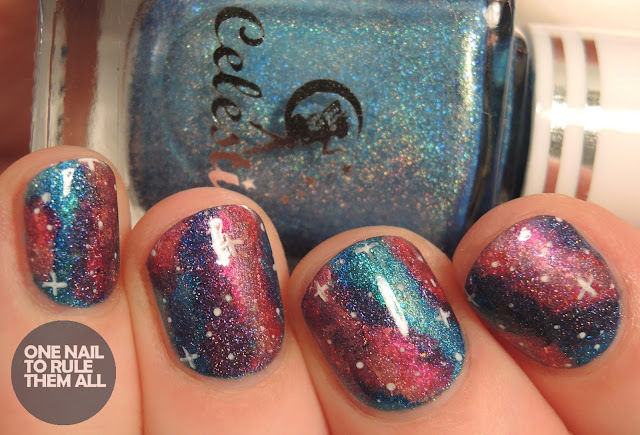 Anyway, before I started on my cleaning I wanted to get some nail art done with the new Celestial Cosmetics Pun-tastic collection (swatches coming soon), and I figured they'd work well for galaxy nail art. I massively underestimated how stunning holographic polishes are for galaxy nails, I can't stop staring at them! They're slightly wrecked after all my cleaning, but I'm still enjoying seeing the shift in different lighting. The picture above was taken in my light box, which dulls the colours slightly. Below is directly under a bulb, which completely brings out the colours, I love how this looks! I used I Dont Give A Fox* for the base, then I used Kastamiro Damior* and Sesir Kipi* (from the Valyrio Collection) to add darker blue, on top of which I added Toucan Play That Game*, Irr-Elephant, and This Is Panda-monium. Finally I added stars using acrylic paint, and finished with a coat of Seche Vite. The picture below and the first picture are both taken in daylight, I would say direct sunlight but that doesn't exist very often in England! What do you think? Which lighting do you prefer the best? Let me know in the comments! Love the color combination, it looks perfect together. They look so nice! I wish I could do them but I know I'd mess them up completely! 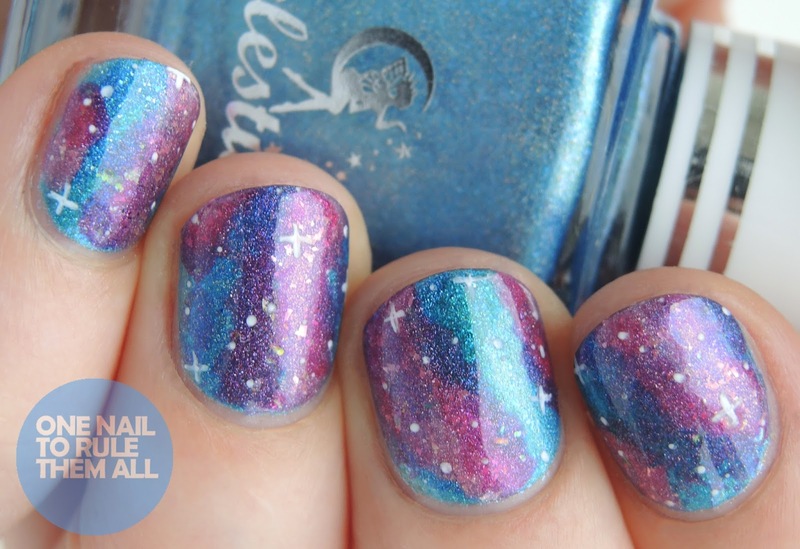 I've still yet to try a lighter, bluer galaxy - and this is making me want one STAT. Awesome! 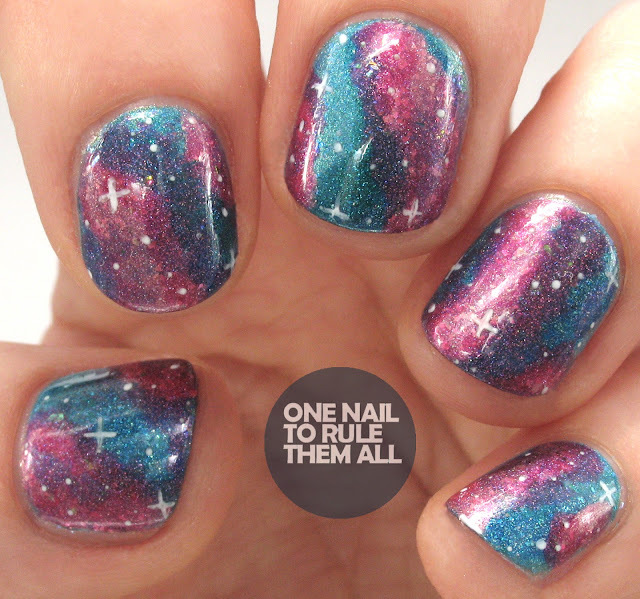 I've done galaxy nails once and it's so simple and very cool looking with any colors. hahaha- I've been in the same cleaning mood, too! Oh wow Alice! This looks stunning! I only wish I could get into a cleaning mood. It might happen once my kids are grown up and out of the house. This design is SO GOOD! These are absolutely gorgeous!! 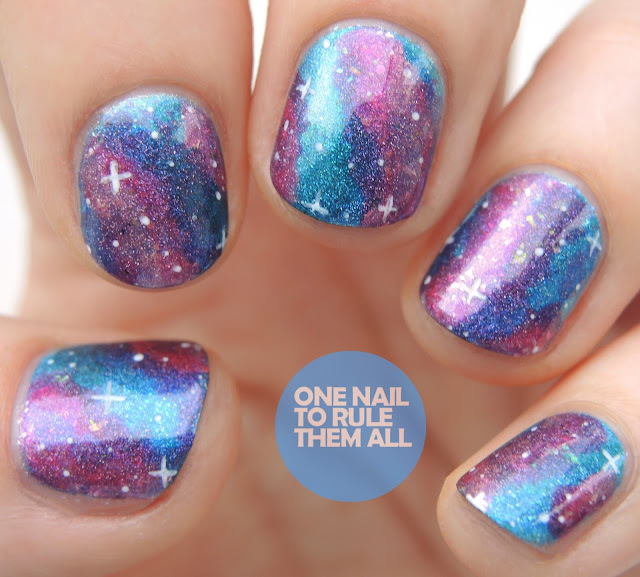 I can imagine holos are perfect for Galaxy nails, I should definitely try that some time because these are incredible!